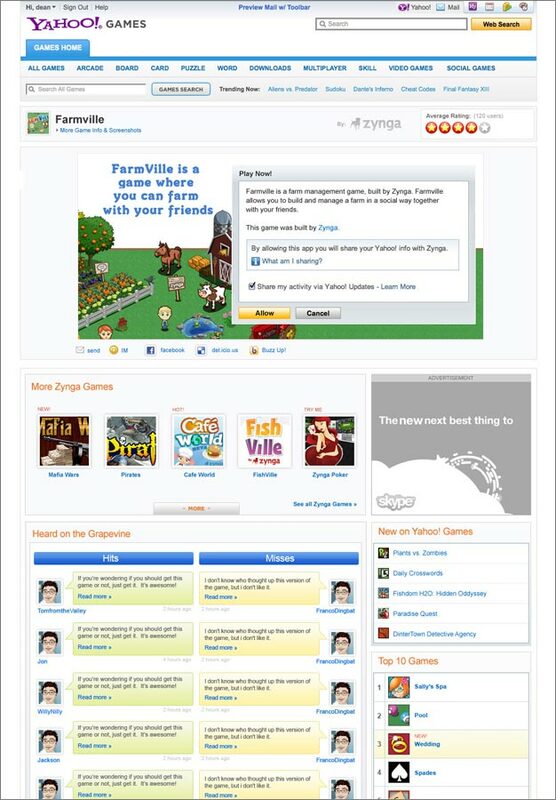 Following the trend of socially connected games on Facebook, we added a new category of Social Games to the Yahoo! Games catalog. 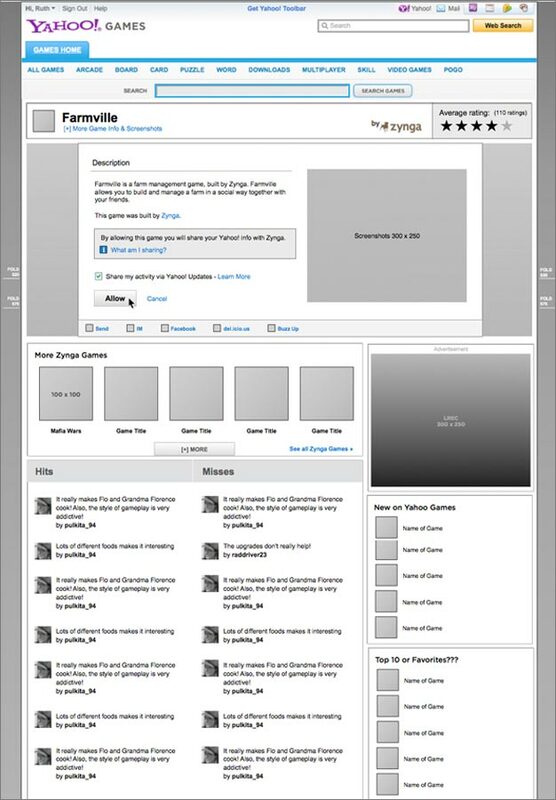 The content required some retooling of the game page, so we designed this new integration of a Social Game Canvas and connection flow for Facebook connected games from Zynga and other developers. This integration used the Yahoo! Application Platform (YAP). © 2019 Scott G Pitkin All Rights Reserved.